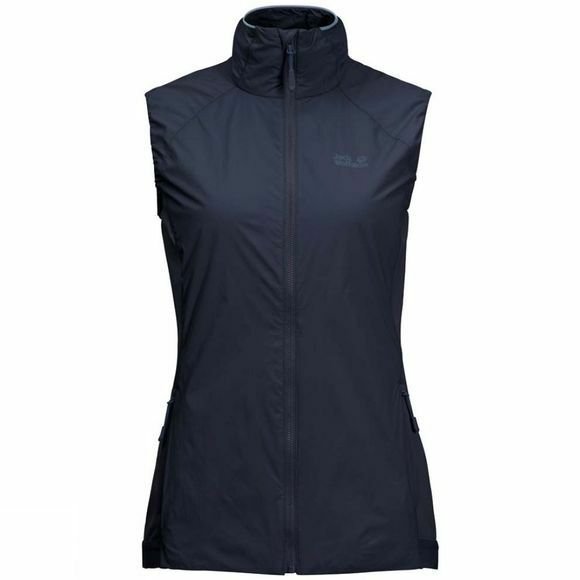 Designed for ambitious outdoor sports but equally suitable for the city, the Womens Opouri Peak Vest is a lightweight, insulated gilet that can be carried with you anywhere you go. This gilet is so light and packable that it will fit in your waist pack and comes with a handy little pack bag. It is filled with our environmentally friendly synthetic fibre insulation which provides a basic level of warmth. This is teamed with a windproof shell fabric which boosts the thermal performance. The flex inserts at the sides are a handy feature for more energetic activities. The gilet can be worn on its own and makes a great back-up garment for rest breaks. In wet weather you can wear it under your hardshell.